The dream becomes a reality with a Kodiak 2600. 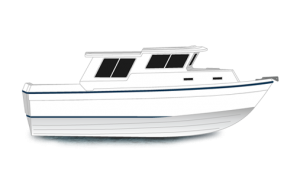 With its deep V Hull and large reverse chine’s the 2600 Kodiak will get you where you want to go comfortable and safe. 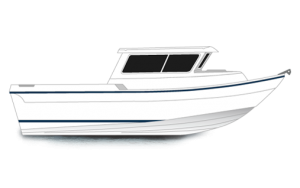 Available with power options that range from Outboard to Stern Drive. 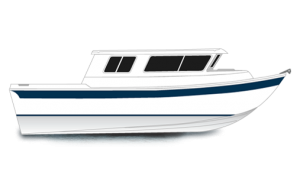 First designed with the most serious recreational fishers in mind, the SeaSport Kenai 2600 sees duty with commercial and charter fishermen, researchers and professional divers. It excels at government agency and patrol applications as well, pulling duty with the U.S. Air Force, the U.S. Army, and various police departments. Now you can cruise comfortably in foul weather, yet still enjoy the outdoors on nice weekends. 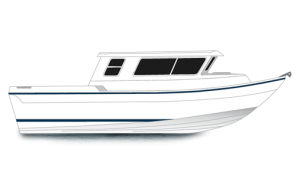 Whether you are out for a day of fishing, or spending a weekend tucked into a favorite cove, the SeaSport Aleutian 2600 has it all. 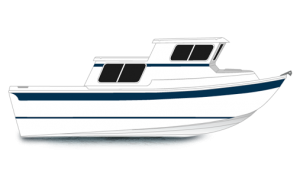 The Sea Sport Alaskan Pilot is a fishing machine built for year round family fun! 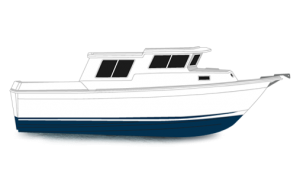 It’s big enough to take the whole family fishing, or to go cruising in comfort with a group of friends while still being trailerable.